It has been mission find The Grown Up Chocolate Company bars near me, and in particular the Salted Peanut Caramel one. If you are a regular reader you may recall I reviewed their Lovely Fruity Nutty Crunchy bar, fear not if you haven’t you can read it here. 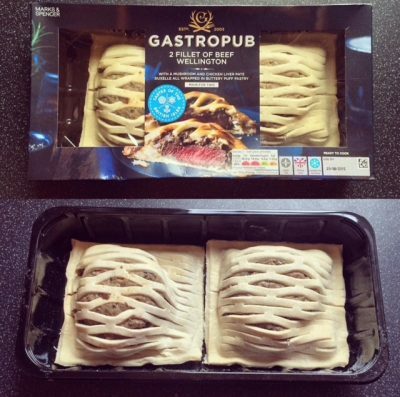 Could this sound any more scrumptious? After one simple bite I had entered peanutty caramel chocolatey heaven! 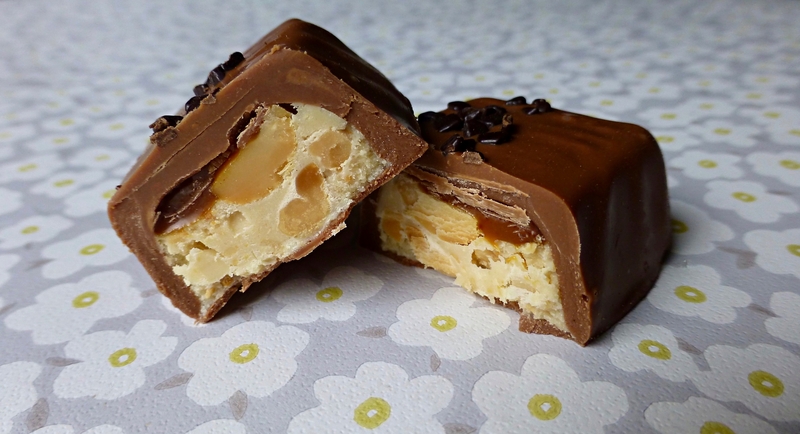 Smooth gooey caramel and milk chocolate was joined by the crunch of the praline and peanuts. Whoever decided to include whole peanuts is a genius! Now my bug bear of salted caramel is when it’s all caramel and no salt. Well I can tell you this was perfection. The balance of rich velvety caramel with just enough salt makes this the perfect salted caramel. 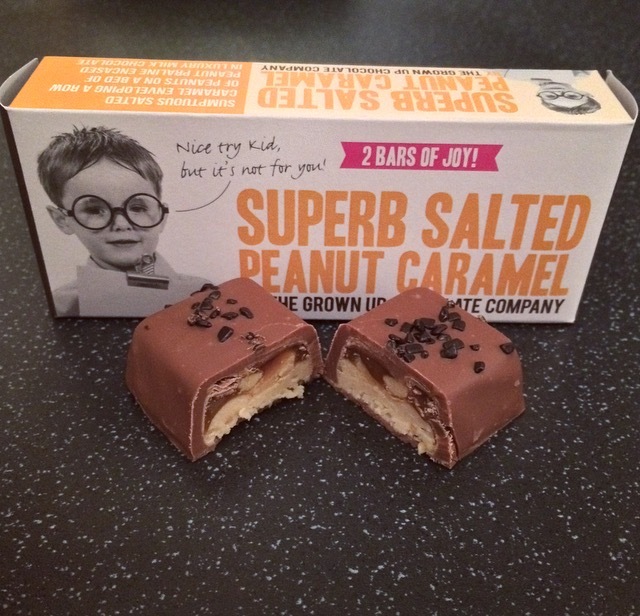 The Grown Up Chocolate Company have taken my two loves, peanut and salted caramel, and made them a super couple. All I can say is Superb Salted Peanut Caramel where have you been all my life! 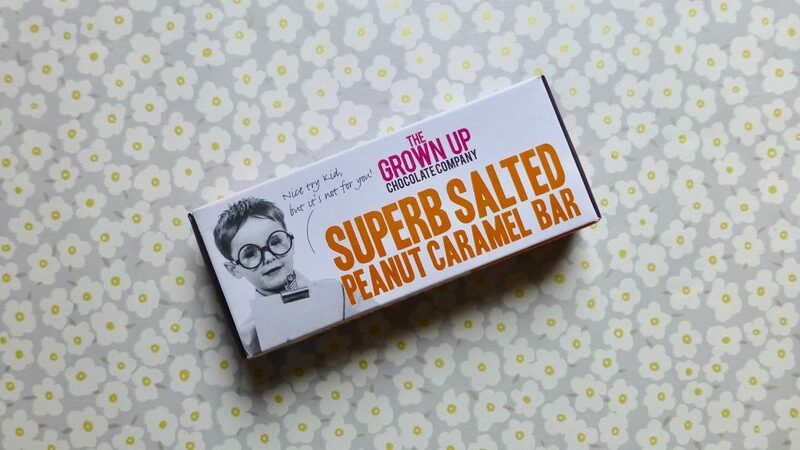 If you are going to try one of The Grown Up Chocolate Company bars this is the kiddie to try. Do you have a favourite from The Grown Up Chocolate Company collection? Let me know.